Rewards programs are created to thank customers and CRS has been saying “Thank You” for over 16 years with a progressive program. CRS has improved and reconfigured one of the longest running rewards programs in the Business Aviation Community. The most recent changes in the CRS Rewards program provide for increased accessibility and increased option for Rewards Customers. “The CRS Rewards program was our way of thanking customers for their loyalty” stated Armando Leighton CRS Founder and CEO. Over the years the CRS rewards program has been utilized and appreciated by hundreds and hundreds of companies CRS has provided services for. The program has evolved from the days of supplying golf clubs and electronic appliances to allowing rewards customers to choose their own gift cards through the CRS Jet Spares website. “We wanted to express our gratitude in an easy access organized manner that all would appreciate” claims Leighton. The CRS Rewards Program offers the option to select gift cards that can be utilized, shared and enjoyed by all CRS customers eligible and enrolled in the CRS Rewards Program. Call today to find out more about point calculations, rewards and enrollment opportunities. Monitoring and controlling the repair process for an aftermarket parts Support Company like CRS is a critical matter. New and improved space with new faces on the Repair Control Group is paving the way for enhanced services at CRS. With new and expanded office space in place this critical department within CRS is able to provide increased services to customers utilizing CRS services. In addition to the physical changes to allow this improvement CRS has added Luis Tapia to the R.C. Group as a customer advocate in the role of Repair control Coordinator. “Mr. Tapia brings years of aviation experience to this position and we feel this move will provide our customers and CRS with a person who will be diligent in meeting customer needs” claims Armando Leighton CRS President. The CRS Repair Control Group not only is responsible for vendor and asset management but, also they are key in the role of interfacing with our customers on managing repairs and providing technical information whenever necessary. “It is a welcome addition to our group” stated Dave Prince R.C. Group Manager. 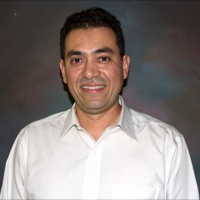 Tapia is a licensed A&P and has been in the aviation industry for over twenty years in roles ranging from component repairman, manager of a repair station, sales regional manager to purchasing manager for a charter flight department. To meet our newest CRS team member stop by our booth #C10143 at this year’s NBAA annual meeting and convention in Las Vegas. CRS announces upgrades to Securaplane Security systems in an effort to advance aircraft ground security. The PreFlite system upgrade is available for all existing installed systems. The upgrade for Legacy 500 and 450 Systems are now available and in most case can be installed utilizing existing system provisions with minimum effort. The upgrade provides a more reliable and user friendly interface with updated technology. The new radar based wheel sensors no longer require complicated aiming concerns. No longer are there range limits or remote transponders necessary as arming, disarming and communication can all be accomplished through cell phones. The PreFlite Systems were originally installed on Gulfstream model 450 and 500 airframes as well as Challenger 605’s. If you have one of the older systems and are interested in upgrade information or are interested in a new Securaplane Security System install contact CRS today for details. For more information stop by our booth at this year’s NBAA annual meeting and convention in Las Vegas booth# C10143. CRS Jet Spares, a leading business aviation aftermarket parts supplier, has announced their 2013 LABACE iPad Raffle Giveaway. The company, an LABACE exhibitor for the past 3 years, will give to one lucky LABACE attendee an iPad. A warm welcome and invitation to all corporate operators, jet owners and maintenance departments attending this year’s annual meeting and convention in Sao Paulo, Brazil to participate in this exciting giveaway! The drawing will take place at the CRS Booth #1016 on Thursday, August 15th at 5:00 pm, must be present to win. “CRS feels the technology behind the Apple iPad coincides perfectly with our goal to have our finger on the pulse and provide what our customers wants,” explains CRS Founder and President, Armando Leighton, Jr.